Now accepting applications for our 2013 Ambassador Grant(s)! 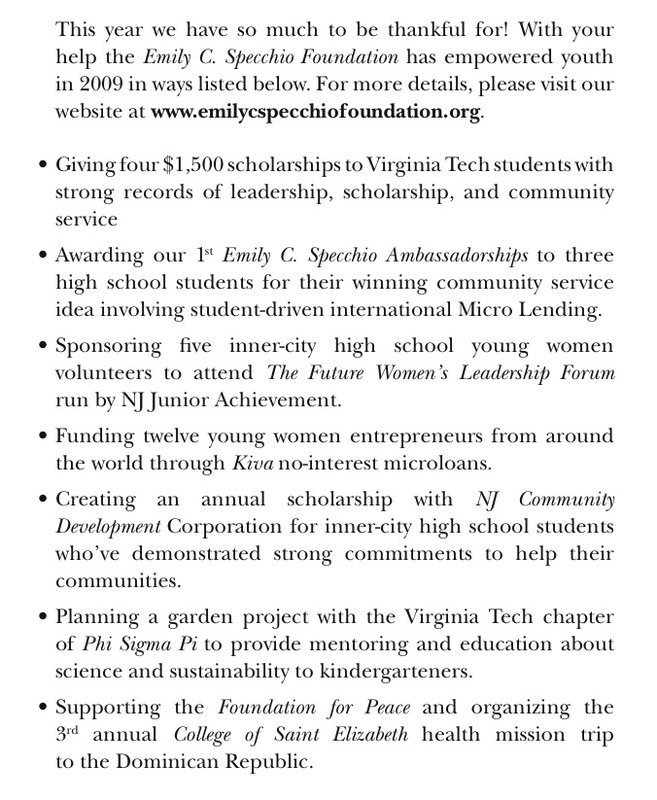 The Emily C. Specchio Foundation is calling all visionary youth to apply for our 2013 Ambassador grant. This grant awards grants to young people with big ideas on how to give back – whether it be locally or internationally. All applications are due August 31st, 2013. The Emily C. Specchio Foundation is seeking young adults with a clear vision for a community outreach project to be started/completed within a year of this grant. The project can be designed to help others either domestically or internationally. The Emily C. Specchio Foundation is looking for inspired young people to embody our mission. The ambassador will clearly state to the Foundation their project goals and mission along with an estimated timeline and funds required. The Foundation will provide mentoring support to the ambassador to help set up a blog or website and fundraise for their cause. The ambassador must present their project ideas and progress at a minimum of three venues (schools, organizations, churches, etc.) including The Emily C. Specchio annual “A Night with an Angel” banquet in September 2014. The Foundation will award $1,000 to this year’s ambassador(s), and will match money raised by the Ambassador (up to $2,500) for one year 2 to 1. For more information and the 2013 application, please visit our Ambassador page. 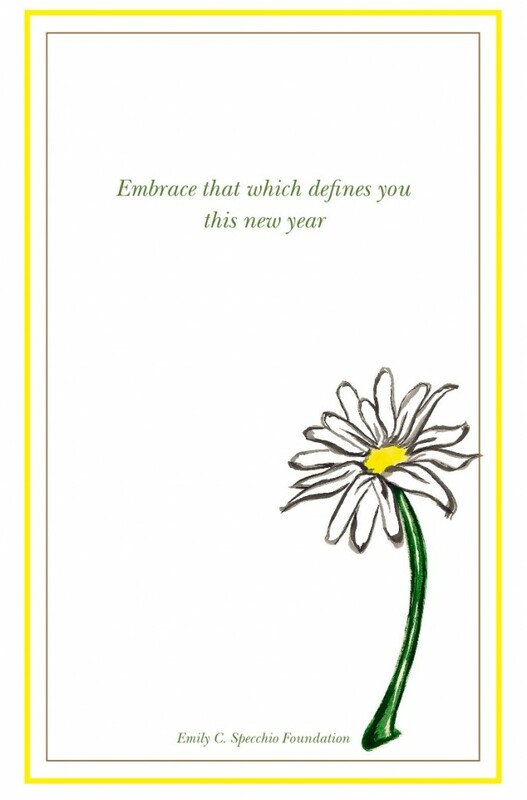 We look forward to reading all your great and inspirational ideas! With the holidays around the corner, The Emily C. Specchio Foundation would like to remind you that we are an official 501(c)3-registered non-profit with the IRS, and are eligible for corporate matching! Our federal tax identification number (EIN) is 20-9837638. Thank you for your continued support and generosity! Stay tuned this month for our announcement of this year’s four new Emily C. Specchio memorial Scholarship winners! We received a record number of applications this year, and chose from a very impressive pool of applicants. Read here for more information about this scholarship, and to read about past recipients! Thank you to all our incredible supporters in helping make our 5th Annual “A Night with an Angel” our most successful event to date! Check back for the posting of all professional photos taken and more information from this year’s event. To view all our past videos, please visit our videos page! Happy New Year from the Emily C. Specchio Foundation! The Emily C. Specchio Foundation would like to give a huge thank you to all who contributed to the overwhelming success of the 3rd Annual “A Night with an Angel” Benefit dinner on Monday, May 4th. Over 230 people attended the banquet and over $45,000 (and counting) of contributions were generously donated to the Emily C. Specchio Foundation. Check back for the announcement of the final total in a few days! Also, pictures from the event and t-shirt ordering information will be up shortly. 100% of the money netted from this event will support our mission of encouraging and financially supporting youth who take initiative in changing the world for the better. To find out more about what the foundation has accomplished thus far, and to learn about the new foundation initiatives announced at the event, please watch this video. A new way is available to support the Emily C. Specchio Foundation! We are now registered with the I Do Foundation which links engaged couples with a host of charitable giving options. These options range from gift registries that give back to charities, to charity friendly invitations and favor ideas. 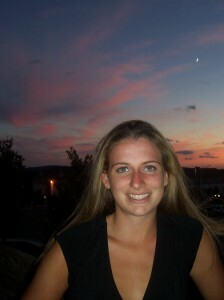 For more information, visit www.idofoundation.org and search for Emily C. Specchio Foundation under Charities. A special thanks to Ashley Studd for helping establish this new fundraising idea! 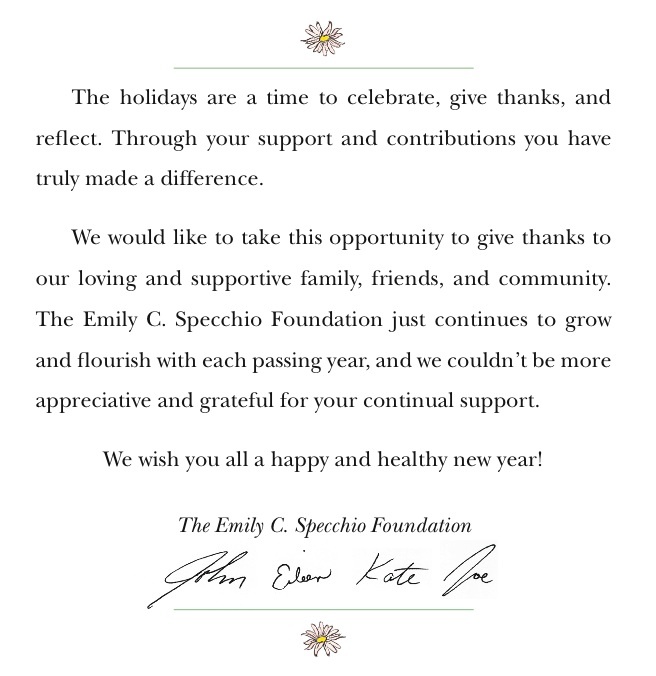 The Emily C. Specchio Foundation! Please check back for updated foundation news.